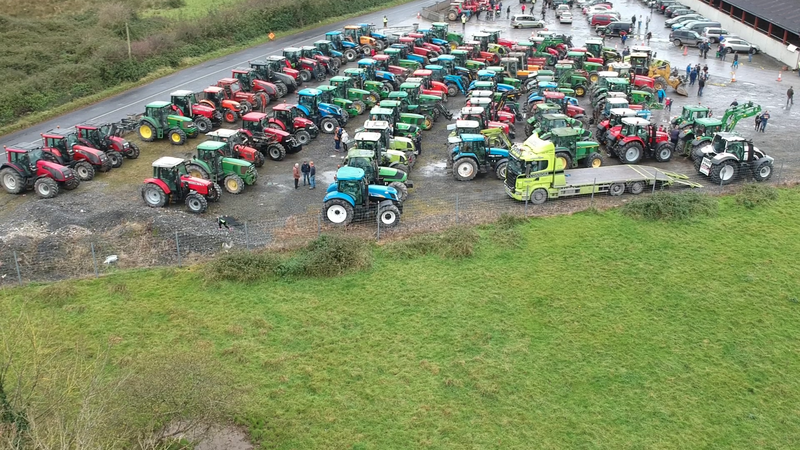 Tractors ready for the off at the mart. 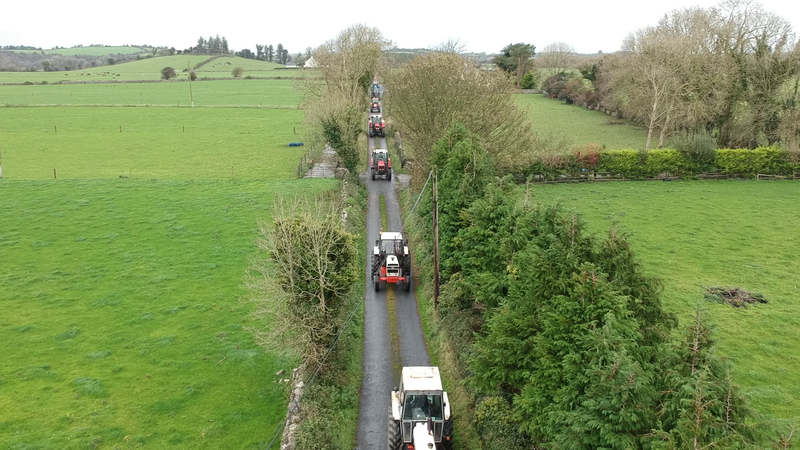 Tractors on the Rossroe Road heading to Rath Cross. 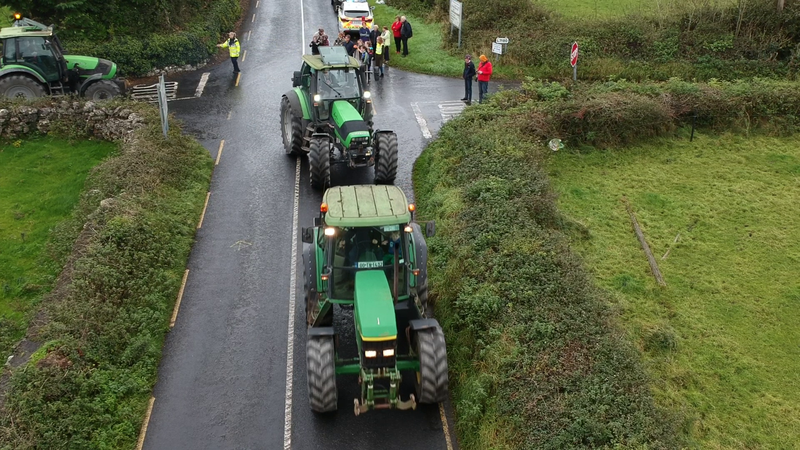 Heading for Quin Via Ballycar at Rath Cross. 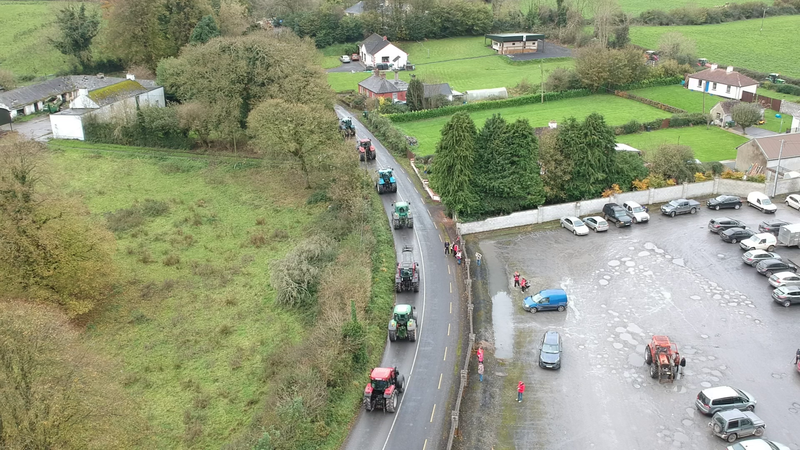 Spooky Ride through the 12 O’Clock Hills big success for Kilmurry NS Pitch Development.